US National Security Adviser John Bolton has warned Venezuela that any threats against American diplomats or opposition leader Juan Guaidó will be met with "a significant response". 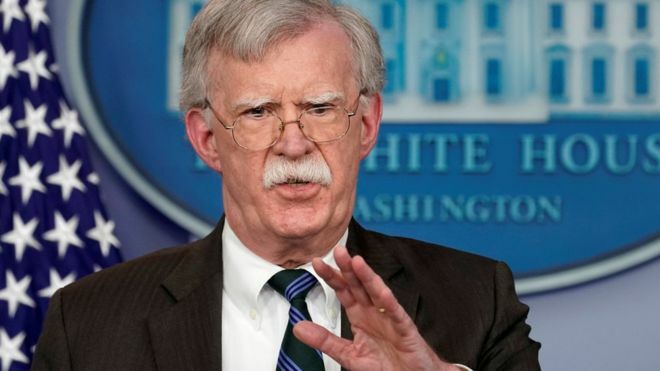 Mr Bolton tweeted on Sunday that any such "intimidation" would be "a grave assault on the rule of law". They accuse President Nicolás Maduro of rigging last year's election. 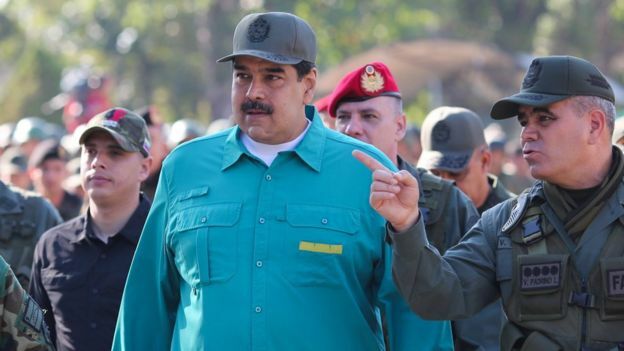 Earlier on Sunday, Venezuela's top military representative to the US, Col José Luis Silva, defected from Mr Maduro's government, saying he recognised Mr Guaidó as president instead. Mr Maduro added that he was ready to "engage in comprehensive dialogue" with those who opposed his presidency, and that he had sent Donald Trump "many messages", but that he thought the US president "despises us".